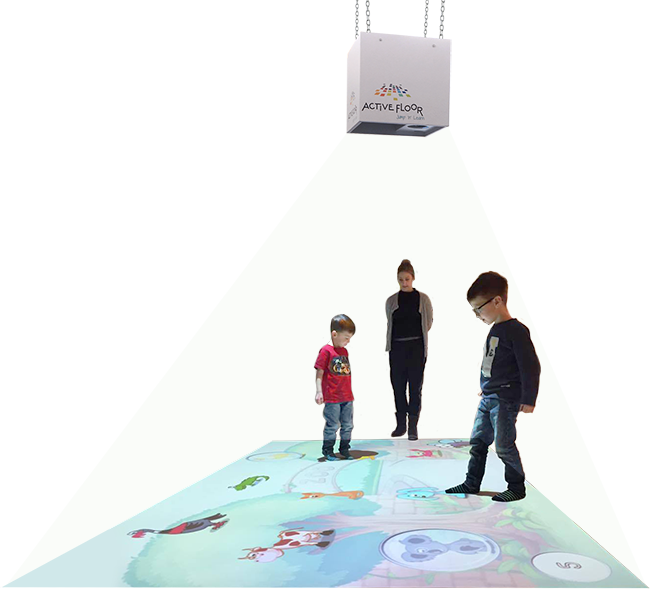 Active Floor is an interactive floor where you navigate between and play various educational games by using your feet. Since the beginning, Active Floor has focussed on play and movement as the primary elements in the individual games. Play is children’s natural tool of learning – so why not use play as a part of teaching and the learning process? 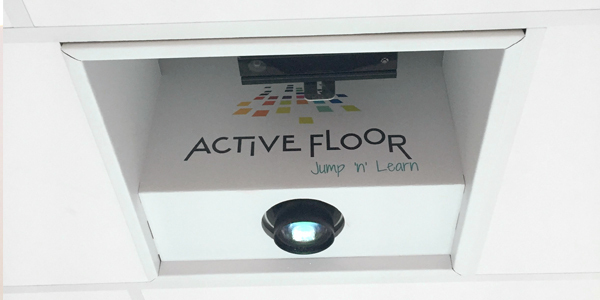 Our interactive floor provides the children with a break from long school days that often are spent in company with tablets and computers. Active Floor inspires and motivates the children to take up physical activity and learning on their own initiative – even during the breaks. Installation box with a projector and a computer. Vinyl floor and active playing area. When you buy our interactive floor solution, we will install and assemble it for you. In that way, you do not have to worry about the technical part of it – we will take care of it. 1. A ceiling-mounted installation box with a projector and a computer. 2. A camera that tracks movement. 3. A white vinyl floor that makes up the foundation of your interactive playing area. Place the interactive floor in a room or hallway occupied by the children, and derive full advantage of the floor. Hosting with usage report every quarter. Installation box & installation materials. Hotline service agreement with on-site service. In a very few minutes you can create your very own interactive learning games. With a login to ActiveFloor’s Online Platform, you can develop games by use of any mobile device or computer. You decide in which game universe your content is made, and which subject, theme and age group it is tailored to. You can also set the children homework where they have to develop their own games. 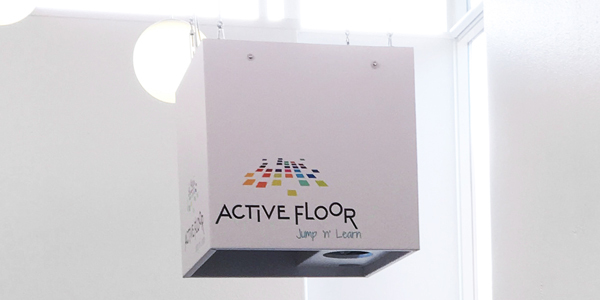 Active Floor provides you and your colleagues with a course on how to make your own games. You do not need any particular skills in IT to participate, we only need three hours of your time – after this, you will be ready to create and copy content for your very own interactive teaching. Here you get an overview of the games that you have created. You can also find games others have made, inside the “play library”. Here, you can create a memory game. You have to make one pair at a time – a pair can be made up of two pictures, one picture and a text or a picture and an audio file. When you create a game, you can see a preview of the game before making your game public on the floor. The software is connected to a unique licence so that your installation and games can be accessed by your users only. 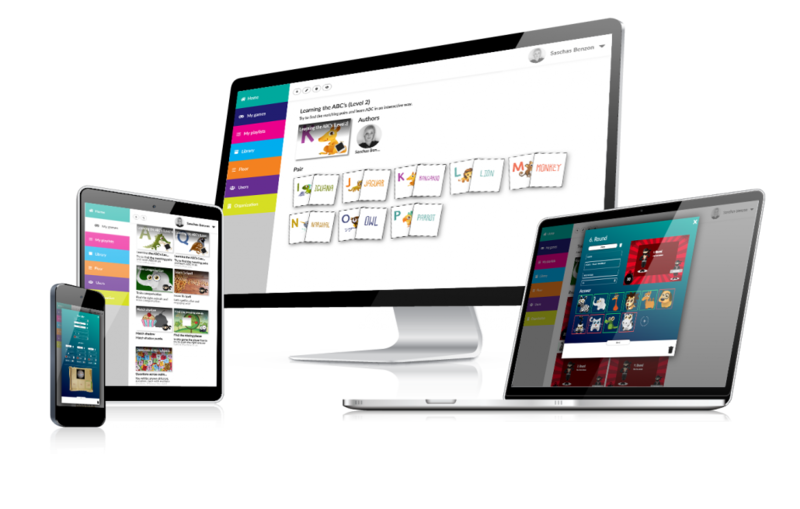 In a similar fashion, you are connected to a library of games where we, on a continuous basis, release new content which is aimed at various age groups, learning targets and themes. The software is also updated continuously with improvements and new game templates.